Santa Stops here this Sunday! We would love for you and your family to join us in a Christmas experience on December 2nd filled with pictures with Santa, snow, cookies, train rides and hot chocolate. And, let’s not forget, there is gym time too! 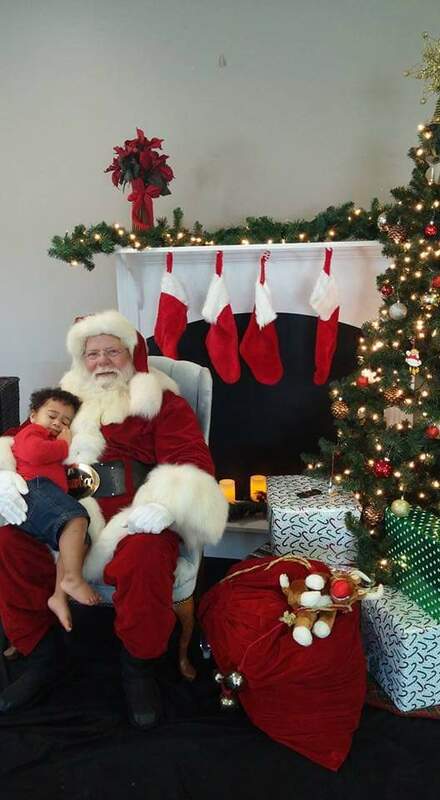 Our family friendly event is strategically designed to give your family an abundance of Christmas activities until your designated Santa picture time. That’s right…no line! At check in you are assigned a photo time with Santa and the rest of the time you get to play! 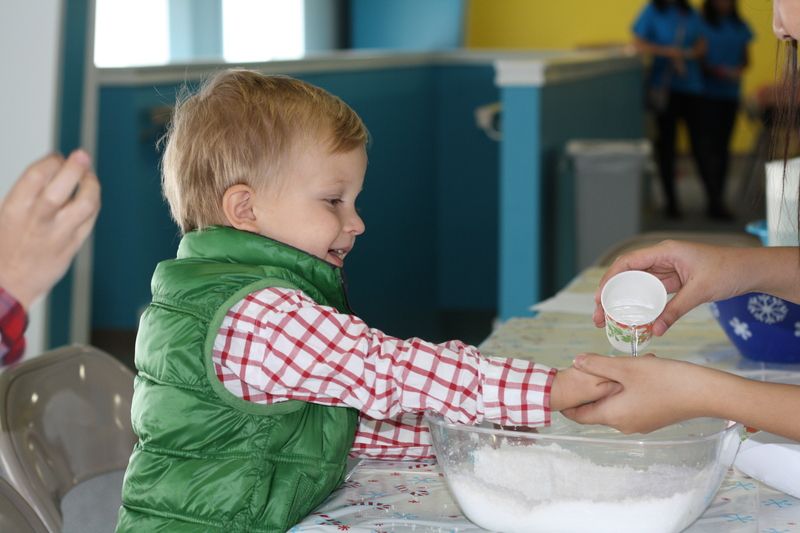 It makes our Winter Wonderland truly wonderful…especially with excited little ones that do best constant entertainment! THINGS TO DO: SANTA, SNOW AND HOT COCOA! 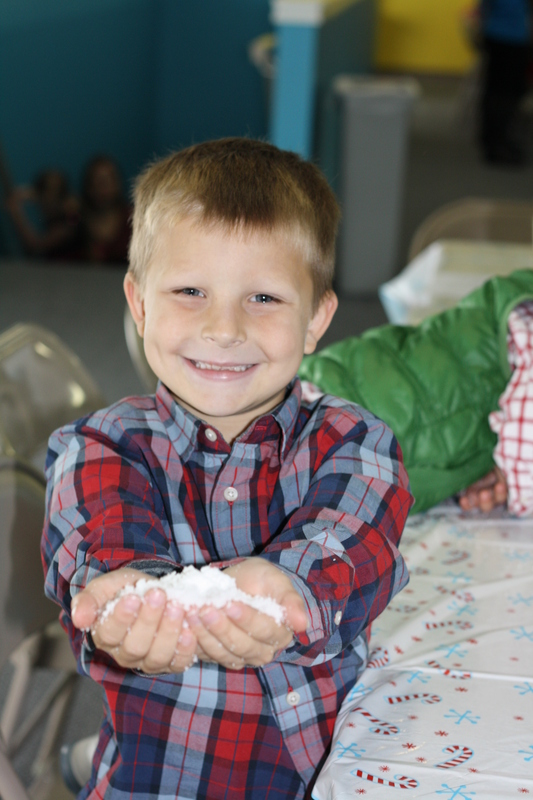 Thanks to science, everyone gets to make their very own snowball and take it home too! This chilling activity is located on the second floor and is a great activity to start with if your Santa time is later in the hour. Save the sweaty gym time play for after pics with Santa! Dean watching the snow appear in his hands. Drake proudly displaying his mound of snow. Don’t forget to bring your own camera or use your phone! 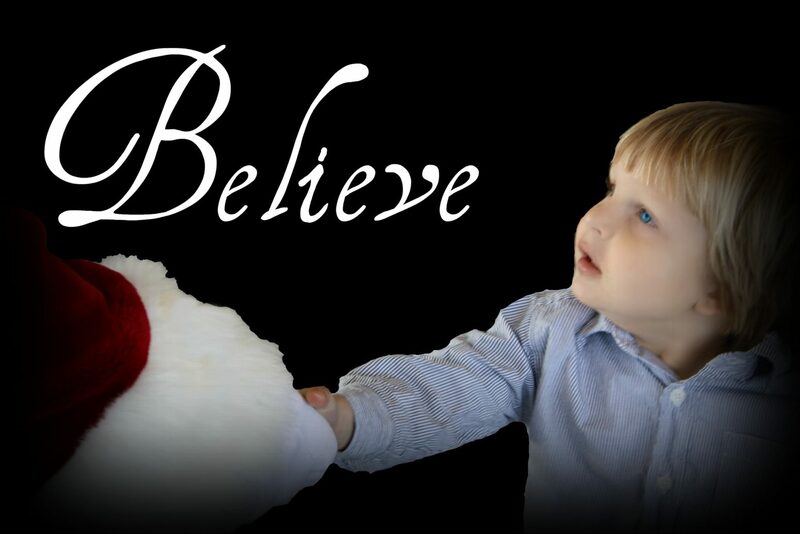 Each year Santa’s elves create a stunning background set up that is perfect for Santa and your family. And, with you as the photographer, your kids will feel relaxed and safe. Tate cuddles up to Santa. Nothing sweeter! 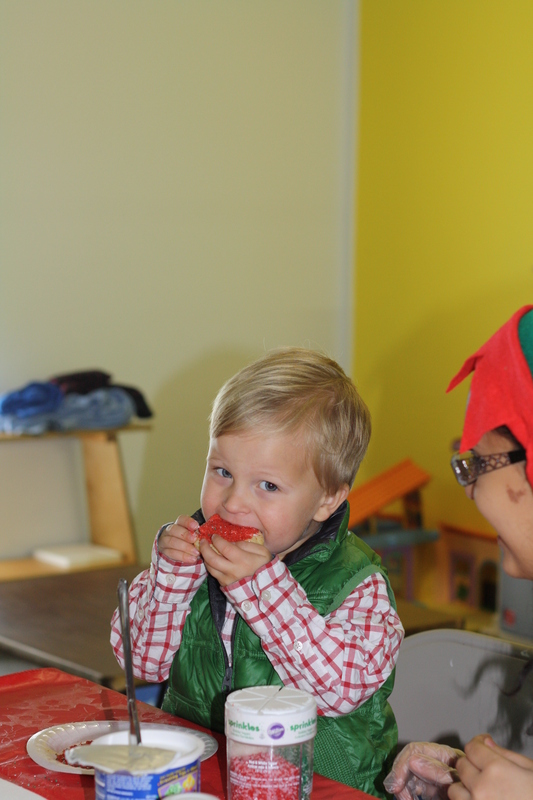 And, our Christmas experience wouldn’t be complete with out some sweet treats. The elves have set up a cookie decorating station and some yummy hot cocoa. For the last 6 years, Winter Wonderland has partnered with one One Warm Coat. This national charity strives to provide a warm coat to those in need. You can donate a new or gently used coat when you attend this weekend. 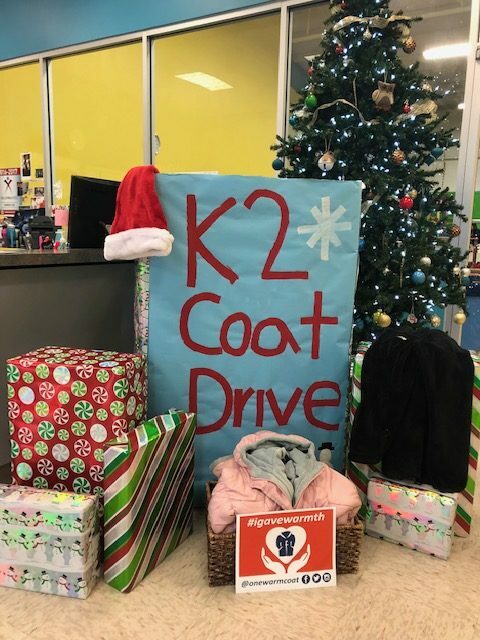 One of K2’s coat drive boxes. Thanks to our after school care students for making and decorating our drop off boxes. And, finally, but certainly not least, is the festive holiday decor. 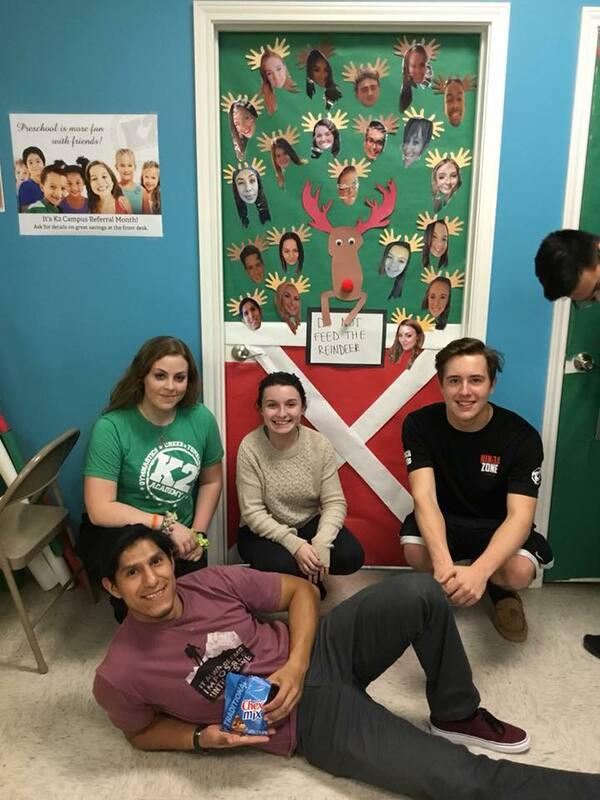 From our infamous door decorating contest, to student made crafts, K2 if filled to the brim with holiday spirit. 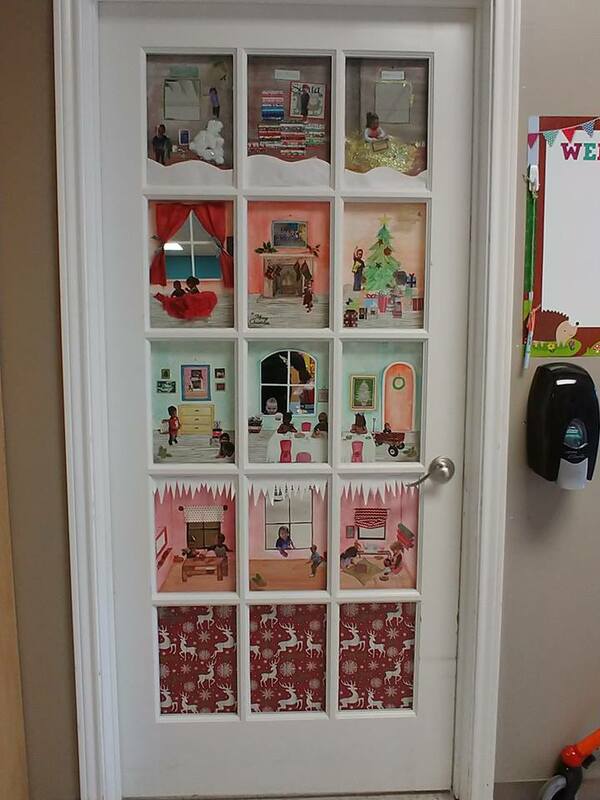 Our 2017 Door Winner! Mrs. Nelly’s 2yr old class. If you zoom in you can see the intricate detail of her holiday doll house. Each child from her room was represented. It was a stunning design. A 2018 contender! Great job to Coach Alex’s team for their unique and personalized idea. You can register for Winter Wonderland online here or by calling us at 281-655-7272. Time slots still available from 12pm-1pm and 1pm-2pm. (Our 11am time is now full). The cost for the event is $20 for the first child and $15 for each additional child. Your entry fee includes all activities. Next Next post: Cadet Gymnastics Competition Season is Underway!